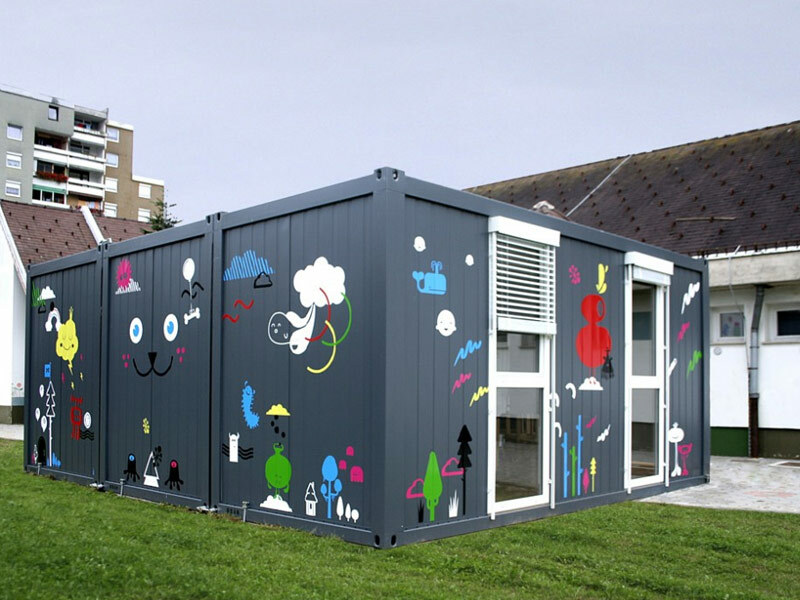 Slovenian architect Jure Kotnik, recently provided a quick fix for a space shortage issue at a local kindergarten by transforming three steel shipping containers into a kid-friendly temporary building annex. Thanks to a trend in container architecture, shipping containers offer much more than a way to transport goods. Kotnik manufactures small container models named Conhouse to create instant housing for numerous applications, and here they work perfectly as a sustainable solution for a temporary classroom space for 14 children. This simple but quick and cost effective solution took just two weeks for Kotnik to implement. 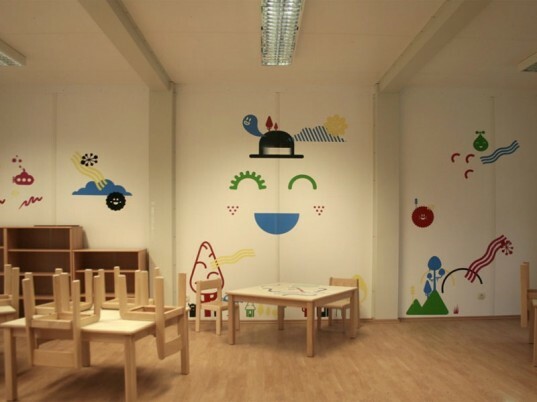 Three shipping containers were joined together to form the “parasite kindergarten unit”, and sticker artists Kitsch Nitsch added the necessary playful flavor with their colorful stickers which adorned the walls both inside and out. Although only used for a year at this kindergarten, the Conhouse shipping containers are designed to be easily deconstructed and reconstructed to be reused again, and again, and again. There is a school here in SoCal, in the Los Feliz neighborhood that did something similar. The rent or purchased a large ware house space and used the shipping containers to divide the space and create classrooms in side the building.